Eyebrows play an important role in framing your face, and accentuating your eyes. They can give you a more youthful and fresh appearance. Unfortunately being born with full, symmetrical brows is more rare than winning the lottery! But now there's help! 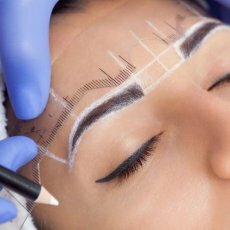 Permanent makeup can enhance as well as correct imperfections and flaws, such as naturally sparse, missing, over-plucked, fair coloured or unsymmetrical brows. It can be done to create a totally natural look to something a bit more bold and defined. Gone are the days of grandma's blue tattooed eyebrows! 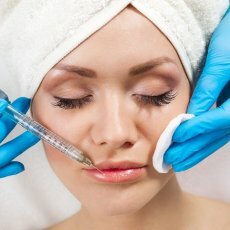 Techniques in permanent makeup have come a long way since then and as such, microblading was born. 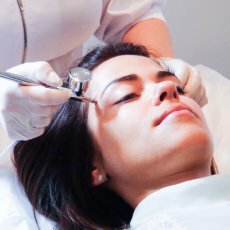 Microblading is a technique using a hand tool to manually implant pigment in a way that mimics the hairs of your brow. The lines are so small that they look like hairs! The result looks very natural and is perfect for those who just want a basic brow base. 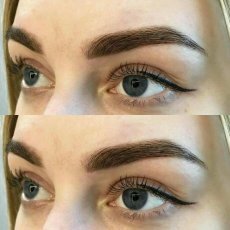 Although allot of people refer to cosmetically tattooed eyebrows as 'microblading', it is in fact just a technique. 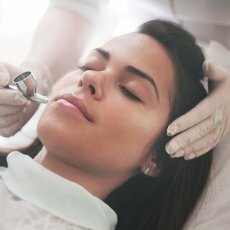 Powder & Ombre brows are both techniques preformed with a machine that is designed for permanent makeup. These methods produce a series of dots, (rather than lines like with microblading) that get layered up, resulting in a powdery look. They're great for people who want a more defined brow or an 'Instagram brow'. These techniques can be customised to be light and airy, dark and dense or anything in between. It's also suitable for all ages and skin types. A powder brow is one colour throughout the brow and Ombre is shaded lighter at the head of the brow and gradually gets darker at the tail, although there are different varieties of this. These brows are a combination of microblading and powder/ Ombre brows. These are the most popular brows as you get the best of both worlds! Hair strokes are placed in the front and the tail end is shaded to give you a natural, but defined look. Shading can also be done throughout. It can be customised to your brow. 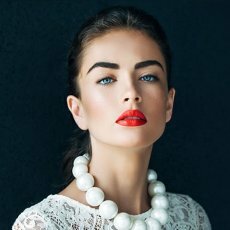 This technique is perfect for those who want microblading, but have big areas of sparse hair and need to blend the areas together or for anyone that wants a bolder look than just a basic brow base. This can also be referred to as 'blade and shade'. From the minute that you start dreaming of having amazing brows, you will be guided through every step of the journey. We will start off by doing a consultation. This can be done at the shop or online if prefer not to come in. 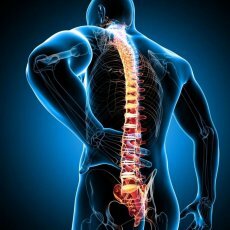 I will explain the treatment options and make sure that we choose the right one for you. We will discuss shape, colour and expectations for healing. If you come to the shop, I can draw a brow on you so that you get a good idea as to what the shape will look like. I'll give you some paperwork to read through and ask some questions in regards to any medical conditions. A patch test will be done to ensure that you will not have any allergic reactions to the pigment. This is the perfect time to ask any questions that you may have. On the day of the treatment, we will start by drawing on a suitable shape. This is the most important part, so it may take some time. I'll take some measurements and use your bone structure to get the most flattering shape. We will only proceed once it's perfect and we both give it a thumbs up. Once we're both happy with the shape, a topical anaesthetic will be applied. This makes the skin numb so you feel very little, if anything at all! I will clean up the brow area if need be and then we will star the treatment. The actual treatment will last around 1-3 hours total. Brows will be a bit tender, possibly red or puffy. They will feel like you have sunburn on them. This will subside in a few hours. 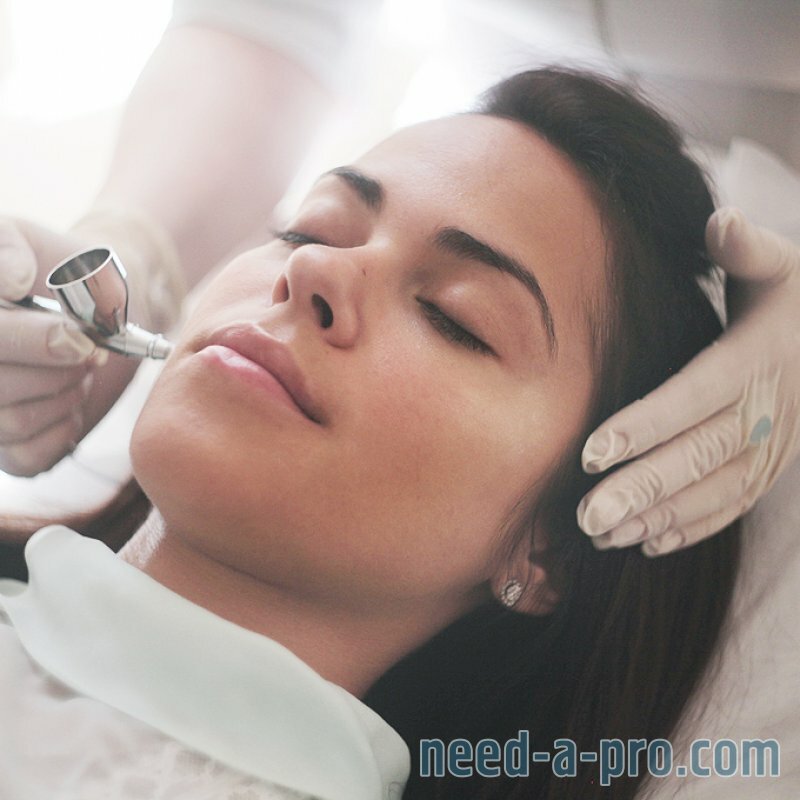 In order to get the best results that last as long as possible, a touch up or 'perfecting session' is needed. This is usually done between 4-12 weeks after the original appointment. The purpose of this visit is to correct any fading, any symmetry and any colour issues. It is normal for uneven fading to occur. 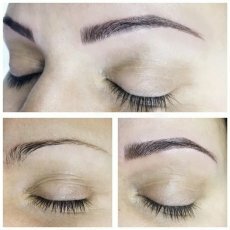 Brows will fade and 'shrink' after the first treatment, so if you want a thicker or darker brow, this can be done at this time. Gently wipe the area every hour. using a cotton pad with water. Apply a very thin layer of cream with a cotton swab. Your brows will look dark and the skin underneath may be red. There may be some swelling. This is normal. Some of the excess pigment may show on the cotton when cleaning. Continue to wipe the pigmented area using damp cotton wool pad if there’s a crust in the morning. You may gently wash with an unscented soap (but not under the shower). Gently pat dry with clean towel or tissue or air dry. Do not rub. Continue to use the cream (thinly) if your brows feel dry. The brow will start to look darker. They may look flaky or even crusty. This is because the area is scabbing. DO NOT pick at the scabs. DO NOT rub or scratch at it. The scabs must fall off naturally, otherwise the pigment will come out with it and you risk scarring. Your brows may still be tender, red, dry, or even itch. These symptoms may last for a few more days. This is normal. - DO NOT use harsh soaps, facial cleansers. Baby soap works well. - Make sure you wash your hair with your head tilted backwards to stop water running down you face. If the area does get wet, pat dry very gently with a clean towel or tissue. Do not wipe or rub with a towel. - DO NOT do exercises, gym, yoga or any activities that make you sweat. Even if it’s just a little bit or “even if you don’t sweat”. - DO NOT use makeup on pigmented area for 5 days. - DO NOT take hot, steamy, long showers. - DO NOT use sun beds or sunbathe. - DO NOT use a Jacuzzi, saunas or swimming pools. 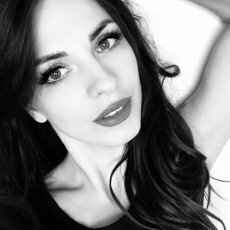 These brows are a combination of microblading and powder/ Ombre brows. These are the most popular brows as you get the best of both worlds. Hair strokes are placed in the front and the tail end is shaded to give you a natural and defined look. 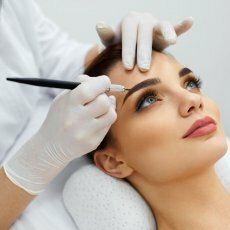 Microblading is a technique using a hand tool to manually implant pigment in a way that mimics the hairs of your brow. There's no need for hairs to be present to do this. The result looks very natural and is perfect for those who just want a basic brow base. Powder & Ombre brows are both techniques preformed with a machine. These methods produce a series of dots (rather than lines like microblading) that get layered up, resulting in a powdery look. They're great for people who want a more defined brow or an 'Instagram brow'. These techniques can be done using light, medium or dark shading. The difference between powder and Ombre is that a powder brow is one colour throughout the brow and Ombre is shaded lighter at the head of the brow and gradually gets darker at the tail. Permanent eyeliner is great for those who are unable to apply or wear normal eyeliner. 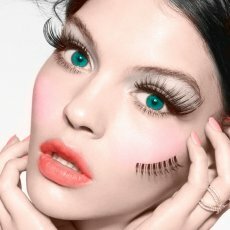 This treatment can be done to enhance the lash line with dots, giving a natural look or the effect can be bold and defined. PLEASE NOTE: a patch test needs to be done at least 24 hours prior to this appointment. Please book a consultation before this appointment to do so, or email dana.depta@yahoo.com to the consultation online.